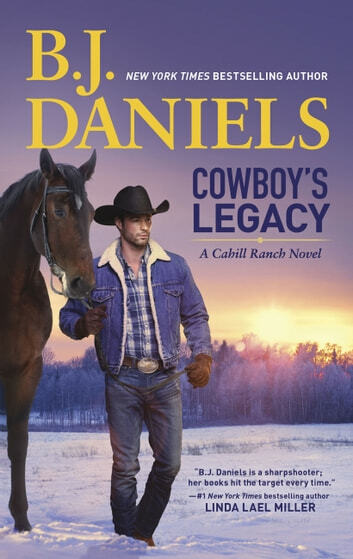 Nothing will stop a Cahill cowboy from protecting what's his. After a rocky marriage and even rockier divorce, Sheriff Flint Cahill finally has something good in his life again. Maggie Thompson's down–to–earth charm and beautiful smile hooked him from the start. But when she disappears on the day they plan to start their lives together, all signs point to abduction – and his ex–wife. Functioning on adrenaline and instinct, Flint must call on his every resource to bring Maggie home before it's too late. His past and future are blurred. Maggie's only chance at surviving her abductor and a raging winter storm depend on an old vendetta that could destroy it all. But the Cahills don't give up easily, and Flint's love will have to be strong enough to conquer anything, including the unimaginable.